Does your dog bark in her crate while you are at work? Do you get complaints from your apartment neighbors that your dogs barking is out of control? Does your dog bark insanely out the window at other dogs and people? Did you know there are anti-bark collars available to help train your dog not to bark? There are two options for anti-bark collars, there is the PetSafe Anti-Bark Citronella Spray Collar, which I am reviewing below. The other option is an electronic bark collar, which I was recommended the Garmin BarkLimiter Deluxe Dog Training Device. You can decide which collar would work better for your situation. It wasn’t until we fostered a chocolate lab named Mocha, that I learned of the anti-bark collar. When we put Mocha in her crate, she would bark an ear piercing, high-pitched bark, non-stop for hours. I didn’t know what to do with Mocha, I couldn’t leave her in the crate and bark all day long. But she was new to our home and wasn’t ready to have free roam of the house either. So I turned to my foster group to ask for advice. Another foster family recommended the Citronella Bark Collar. So after doing some further research, I found that the Bark Collar is a great way to stop dogs from obsessive barking. 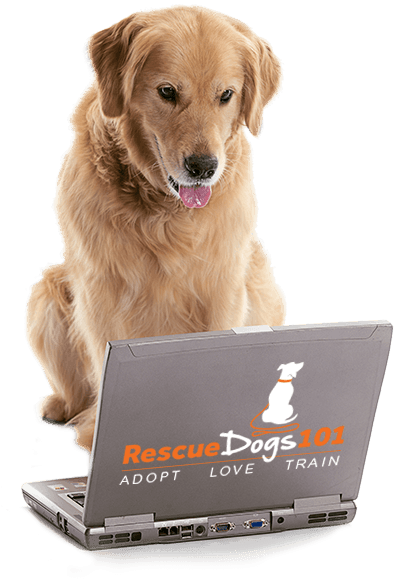 The bark collar does work – the proof is in the video! It took less than 2 minutes for Mocha to settle and lay down in her crate. Take a look at the video I shot of her first time with the bark collar. Turn up your sound so you can hear. First Mocha barks and activates the spray. She immediately stops barking but continues to whine. It takes a bit, but the collar does spray one more time because of her whining. She then lays down and relaxes. One minute and 50 seconds, two sprays and she is calm… this beats hours and hours of barking and crying. I was told the collar can be overly sensitive, so it was recommended to me to place a piece of duck tape over the microphone. You can read Mocha’s Foster Tail here. I was so impressed with the results with Mocha, I decided to try it out on my resident dog, Ginger. Ginger would sit at the front window of our home and bark at people and dogs walking by, the mailman, etc. It wasn’t extreme but got annoying since I work from home and it’s embarrassing if I’m on the phone with a client and my dog is barking in the background. I placed the collar on Ginger and the first time she barked, it sprayed. She didn’t bark again. And now all I have to do is show her the collar and she will stop barking. The collar is sound activated, so when your dog barks the collar bursts a spray of citronella into the air. It is not harmful to you or your dog. The smell is unpleasant and the sound of the spray stops your dog from barking. Unscented refills are also available if you do not want to use the citronella, but I personally feel it adds to the effectiveness of the collar. The collar can be overly sensitive, so it was recommended to me to place a piece of duck tape over the microphone. I tried testing the collar on myself and I couldn’t activate the spray with my pretend bark. So I don’t know how it’s programmed, but it only works when your dog barks. PetSafe recommends to use the Anti-bark collar only when barking is excessive and NOT to use it for more than 12 consecutive hours a day. Use the bark collar anytime you have a dog that will not stop barking when you tell him no. Use it to control excessive barking, barking that becomes a nuisance. It is normal for your dog to bark occasionally, and you should not correct him for this barking. I don’t see a reason to keep the collar on your dog for any long period of time. Your dog will most likely stop the barking almost immediately, just like Mocha did. Once the bad barking behavior is stopped, your dog will probably not need to wear the collar anymore. As mentioned above, the PetSafe Anti-Bark Citronella Spray Collar is what I was first recommended and used with Mocha. I have heard some trainers have concerns about using the citronella spray since the smell does linger in the air. They felt this was not fair to the dog to have to keep smelling the citronella. But with my experience, the need to use the collar was limited. After only one use, both Mocha and Ginger knew what would happen if they barked. So the collar never needed to spray again. The Garmin BarkLimiter is an electronic bark collar which uses a small stimulation to the neck of your dog. It is adjustable to be more or less sensitive to the bark. Both collars work great, so you need to decide which collar would work better for your situation and your dog. Both collars are available on Amazon: PetSafe Anti-Bark Citronella Spray Collar or the Garmin BarkLimiter. Recommended just for you: How to Find the Perfect Dog Trainer. to make sure you ask all the right questions when searching a dog trainer!